So do you want to teach your kids’ how to save money right from young age, then do it their way! You can train them in saving money in a fun way with this awesome little Tetris/Atari Arcade Gaming Piggy Bank. Play with the moving blocks till you want for the money you spend playing each game is just the money you are ready to save! This is a very smart step towards making your kid stay home for more time rather than those spending hours and hours outside playing their favorite arcade games! You want to know how it helps save money. These cute little machines will demand just one coin for you to start a new game. So the machine takes place of a little mini piggy bank, which actually gives you super fun in return for saving money! 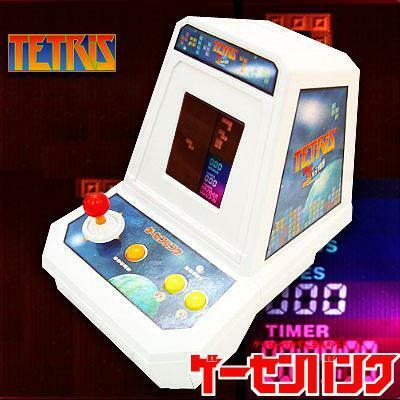 Tetris has definitely remained on the top of the list for being of the most popular and entertaining game for all, while Atari grasps attention with its starry effects. The liveliest part about this Tetris and Atari Break machine is that it has a LCD screen that gives you almost three minute game with just the original scaled down arcade game controls! 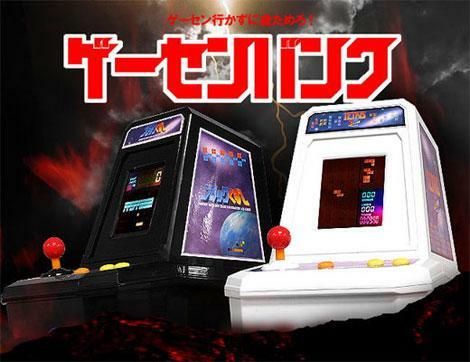 Grab one of this coolest Tetris Arcade and Atari Break Gaming Piggy Bank out from JapandTrendShop for just $70. Well, if are a Tetris freak, then you should also check out the Tetris Bricks Soap Bars or the Tetris Wedding Cake effect.